This incredible melting pot of cultural diversity, ethnic richness and different world-views gives the perfect opportunity to combine a city break with a spot of fun or relaxation on the Mediterranean. If you are thinking about visiting Tel Aviv, good for you — it’s a wonderful city and you can make of it basically whatever you want. To help you create your own remarkable journey, I’ve decided to put together a little Tel Aviv travel guide, featuring information on tourist attractions, things to do, how to get around and other important stuff. Hope you enjoy! 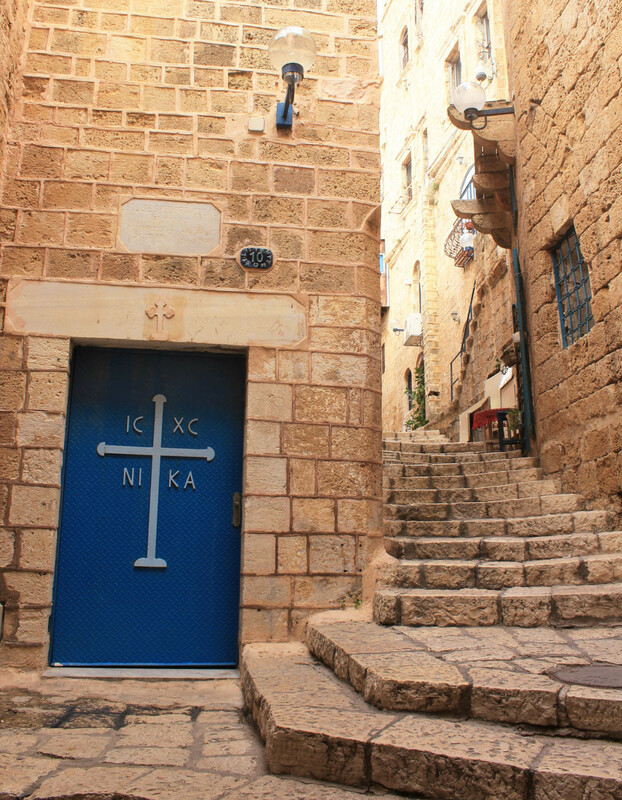 No visit to Tel Aviv is complete without a visit to Old Jaffa. This is one of the world’s oldest areas and it is home to the oldest seaport in the world, and believe it or not, ancient Jaffa is even older than Jerusalem. The flea market, the Clock Tower and St. Peter’s Monastery are definitely some of the must visit places in Yāfō. Compared to the big-city hustle of Tel Aviv, this is a wonderfully quiet place for a stroll and, despite serious restoration, still retains its old-fashioned charm. Tel Aviv’s promenade stretches the length of the city, from the old harbor in the north, to the picturesque Jaffa in the south, and is the perfect place for people watching, jogging, biking or simply soaking the atmosphere. The best time to go is around 7pm during summer, so you can enjoy the gorgeous sunset over the Mediterranean Sea. Gordon Beach is one of the most famous beaches in Tel Aviv, attracting sun-tanners all year round. It is situated next to the marina, so it’s a great hit with the tourists staying nearby. Banana Beach, located on the southernmost edge near Jaffa, it’s still a favorite for many locals—especially the twenty-something hip crowd. Metzitzim beach (sometimes also referred to as Sheraton beach) is one of the best places to go for a day by the sea if you’re traveling with kids. There’s also a man-made lagoon that ensures calm, warm water all year round. One of Tel Aviv’s nicknames is “the White City”, due to its large number of white Bauhaus buildings. The style is recognizable for its smooth and essential look, and is characterized by flat shapes, functionality, modern design a lack of extraneous ornament. In 2003, UNESCO proclaimed Tel Aviv’s White City a World Cultural Heritage site. 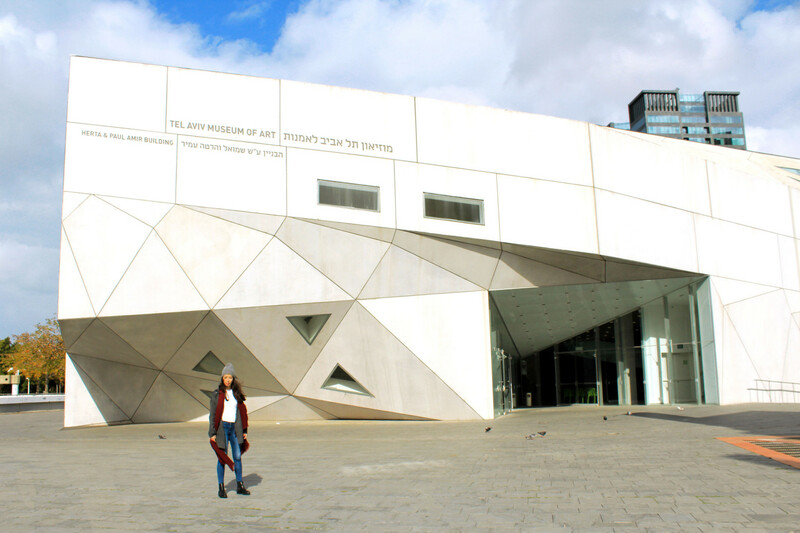 The Tel Aviv Museum of Art contains works by Degas, Monet, Van Gogh, Picasso, Pollock and the world’s largest collection of work by Israeli artists, while the Herta & Paul Amir Building has recently become a visual and architectural icon itself. Because duh, food. But seriously, what really makes Tel Aviv stand out is the food scene. Even the simplest of restaurants and the little stands on the side of the road serve food at a very good quality. Some favorite areas for eating are Dizengoff avenue and Rotschild boulevard. Just walk and go with the flow (of food). 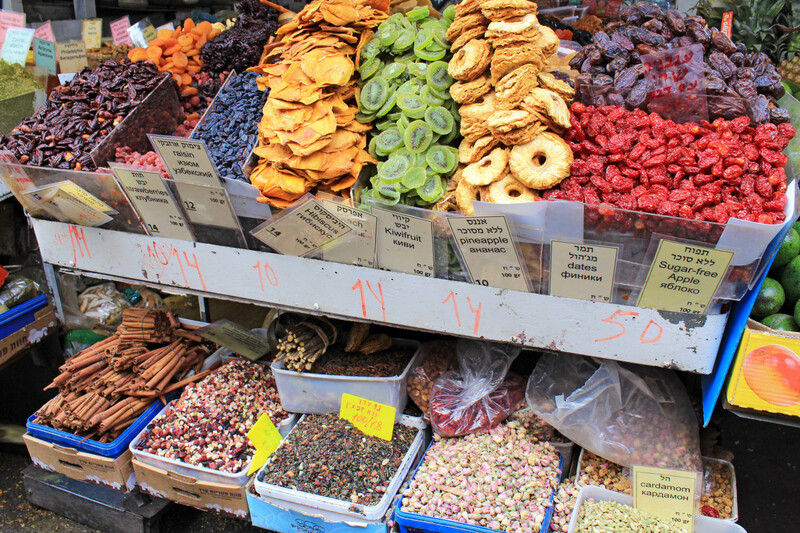 The Carmel Market is the heartbeat of Tel Aviv, a kaleidoscope of colors, noises and smells. If you want a taste of the real Israel, this is the place to go. You don’t necessarily have to come to shop as it’s simply an amazing place to visit. The Azrieli Center is a skyscraper complex located on the east side of Tel-Aviv that serves primarily as a business and shopping center. Azrieli offers a good number of cafes, and fast food restaurants, but if you really want to treat yourself, head to the exclusive 2C restaurant, in the Azrieli Observatory. 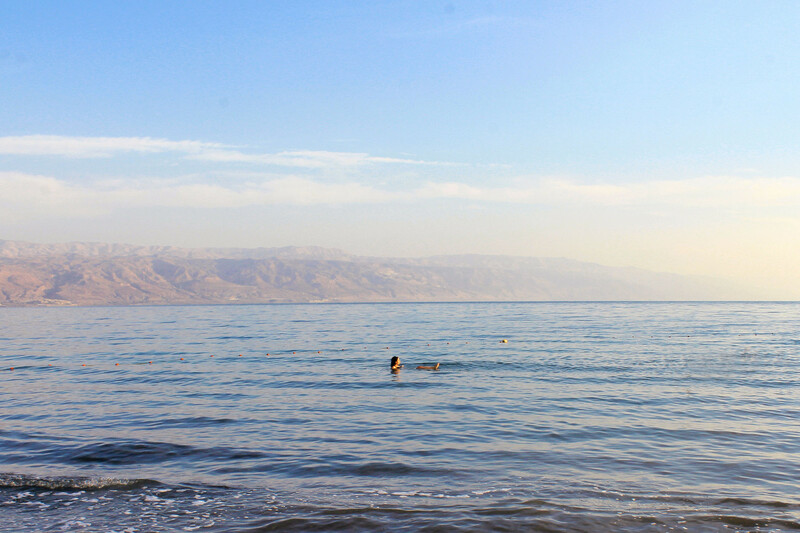 Floating in the Dead Sea has to be one of the more perplexing and exhilarating things you’ll ever experience, as the amount of salt in the water will literally cause you to float without effort. In addition to bathing within the Dead Sea’s water, tourists and locals can also enjoy a full body mud bath, which is extremely beneficial for the skin. You can spend a night at one of the Dead Sea resort hotels, go for a day trip, or head down for a few hours and spend a lovely day at one of the beautiful Spa. Tel Aviv is regularly named one of the world’s best nightclub cities. The trendiest clubs are always changing, but they’re usually located either in one of the ports or near the beach. Also, for a first-timer, there’s no better place to bar hop than the city’s main street – Rothschild Boulevard – which is packed with most of the city’s best bars and clubs. Rail: Israel Railways operates the Ben Gurion Airport Railway Station, which is located in the lower level of Terminal 3. The journey to one of the four stops takes about 18 minutes and the fare is around 15 NIS ($ 4). Trains run daily except Friday nights & Saturdays. The most central location is the Tel Aviv Savidor Merkaz station, with a hub of buses and taxis just outside the door lined up to take you to your final destination. Bus: Egged has a shuttle bus for passengers between the terminals and a small bus terminal in the Airport City. Not really recommended to visitors without a command of Hebrew and a basic understanding of Israel’s bus system. Taxi: The Taxi Stations at Terminal 3 are located on Level G. Journeys into town should run around 150 NIS ($40). Working 24 hours a day, 7 days a week, this is the most comfortable way to reach the city center, but also the more expensive. Flo Shuttle: this is a new addition to the airport transport services that includes drop off and pickup from all hotels in Tel Aviv. The shuttle leaves every hour, on the hour, and the current rate is 68 NIS or $17 per person (it’s necessary to book in advance). Their service is available 7 days a week, including during Shabbat. Pretty cheap and hassle-free. The best way to get around Tel Aviv is by bike, as the city landscape is pretty much flat, and many of the top attractions are located fairly close to one another. Buses run frequently and offer a cheap way to get from downtown Tel Aviv to neighborhoods like Jaffa. 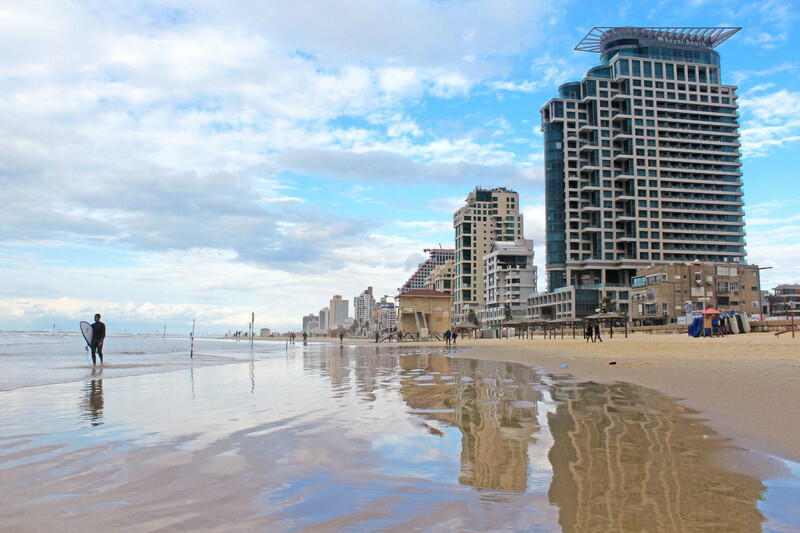 The best time to visit Tel Aviv is from March to April and September through November, when days are pleasantly warm and it’s not too hot as in the summer period. Unless you’re ready to brave temperatures over 100 degrees, avoid July and August. The period from November to March is also good, though some days can be chilly. I visited Jerusalem in January and it was great going in the off-season – no crowds, no lines, no fuss. It was nothing but amazing! HAVE YOU EVER BEEN TO TEL AVIV? WHAT DID I MISS? LEAVE IN THE COMMENTS!